Very professional. They were able to schedule me quickly, were on time and done in a timely manner. I LOVE how clean my carpets are now. I would definitely use again!! Brad and Sue are the most honest and knowledgeable professionals you could ask for. They make sure the job is done right and customer service is number one! Thank you. We try our very best to make sure every job is done right the first time. Thank you, we try our very best. Outstanding customer service and quality work. Will use again! Thank you for your review. It a great compliment to our service. I have had chem-dry in my home for about 11 years. That should be picture of the great work they do plus they are wonderful couple. Thank you, We try our very best to make sure all spots are removed and smelling fresh again. Thank you! We always try and make sure the spots are gone and the items smell fresh and clean when finished. Excellent service. Removed stains so that 4-year-old carpet looked and smelled new. Thank you. We stive for the best cleaning a customer can recieve. They showed up on time, talked a bit about what they were going to do. Done the job and it looked great when they were done and better the next day. Great job and friendly service! Thank you very much. One of the many things we try to be on time for our appointments. We know time is valuable for us and you too. I have been blessed to have Brad and Sue clean the carpets in my home for several years!! They also take my big rugs to the shop and return them clean and fluffy!!! Brad and Sue work hard and do not leave until I am pleased. Thank you Mrs. Evans. Its always a pleasure to visit and catch up with great customers. I get Chem Dry abt once a year...My cat seems to be angry and decided to protest his litter box being moved from upstairs but Chem dry has left everything smelling super fresh! Very professional, and straight-forward. I would definitely recommend. Thank you, we are always truthful with our customers. They did a wonderful job. The carpets look like new! Thank you, we try to be the best. We have used Chem-Dry of Brazos County for the past ten years and have found them to be professional, timely, and reasonably priced. Thank you for the review. We believe in taking care of our customers. Very dependable and prompt. They stand behind their work and always guarantee it. Thank you, we always trying to take care of our customers. I have used Chem-Dry for years and wouldn't think of using anyone else ! Thank you, its always a pleasure taking care of your home. I would not trust my carpets and fine rugs to any other company. Their granite renewal service is unbelievable, as well. Pet urine problems are addressed professionally and thoroughly. Highly recommended! Thank you, We strive for excellent customer service. Thank you. It was a pleasure to take care of your needs in a time of emergency. Fantastic service! Professional and friendly – arrived promptly did a thorough inspection of the carpets and no hard sale. Old school Get R Done right. We have used Chem-Dry of Brazos County several times. We are always pleased with the professionalism of Brad and Sue. We are always very happy with the way our carpets look when they are done. Highly recommend them! Thank you Jake. We just try our best to make sure things are right the first time. Thank you, it's always a pleasure visiting with you. They did an amazing job!! Very professional . I have used them in the past and was definitely not disappointed again!!! Brad and Sue are honest people and hard workers! They are educated on the latest and greatest cleaning formulations for your flooring. They are the only ones I trust to clean my carpets. Education is a key to the success of taking care of our customer's needs. I've used Chem-Dry for a number of years. They are NOT a Cheap "Soap & Water" Carpet Cleaning Company. In my opinion, Great Value in that carpets look good for a substantial period of time. 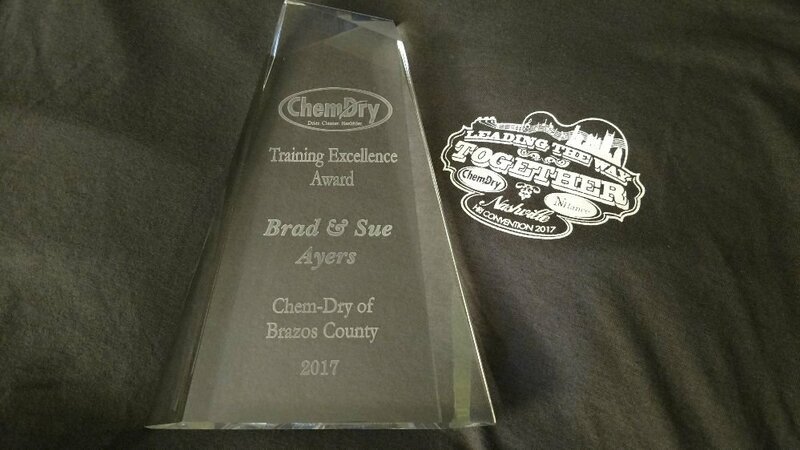 Thorough, fast, arrived on time, friendly, enjoyed doing business with Chem-Dry of Brazos County. Outstanding service and quality of work done. Highly recommend Brad and Sue's Chem Dry business. 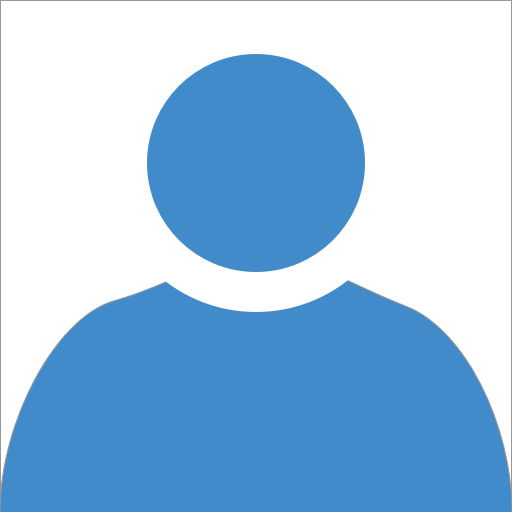 Very pleasant to deal with and do an excellent job. Have used them repeatedly. Chem-Dry of Brazos County has the experience and tools necessary to tackle any job. Their team is amazing. Pet Odors, Carpet, Rugs, Tile and Stone, Granite ... one-stop-shop! Friendly and Fair. Highly recommended! I just moved into a unit covered with urine stains and Chem Dry of Brazos County did the best steam cleaning ever! I have had many steam cleaning services in the past, but Brad and Sue were the the best. Thanks so much !!!! Awesome team! They truly know their business. Extremely friendly, modern equipment, new, reformulated products. What more can I say. Why call anyone else? 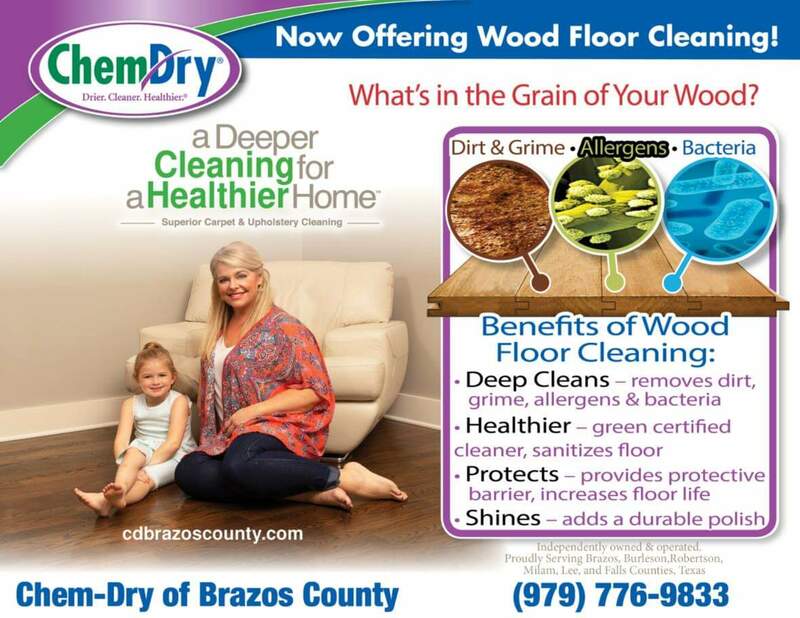 Call Chem-Dry of Brazos County today! We clean for the Health of your home! Having 2 huskies one being a puppy, traffic in and out of my house and a baby on the way they worked wonders on my carpet. It looks phenomenal and smells amazing! Anytime anyone ask about carpets they will be the one and only I refer! Brad and Sue took great care of our carpet. Not only are they friendly, their work ethic and integrity make them the best in the business. Highly recommend! Great service and on time for our appointment. The carpets dried quick and removed some pet odor problems we we having too. Remember our pet urine removal is 100% guaranteed. Thank you for the great review, it is appreciated very much. 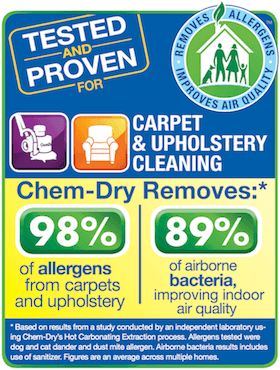 I've used Chem-Dry to clean my carpets and area rugs several times and they have always done a great job. I would highly recommend them. They are friendly and professional and I like that the owners are the one's providing the service. It's a pleasure servicing old friends. Thank you for the attention to.the details is what sets apart from other companies in our opinion. These folks do a great job! Reasonable prices, really friendly, and on time. I'm putting them on my permanent schedule for spring and fall cleaning. We are here to help maintain a heathy home. Super professional group. Great cleaning service with a sincere commitment to customer satisfaction. I highly recommend! Brad and Sue do a wonderful job keeping our carpets clean and allergen free as possible. We appreciate their help and the great job they do for us! It was a pleasure to service your home. Another wonderful job of cleaning my carpets! This is the second time I've used ChemDry Of Brazos Valley and they have consistently done an awesome job! Don't even consider using a different service if you value your carpet. Unfortunately we had a water leak from the business next door. Chem Dry was there immediately and got it taken care of. The carpet looks great. Brad and Sue did an Amazing job! Our carpets look brand new! Thanks again! I had my carpets done today, and my carpet looks almost as good as they day we moved in! I will for sure recommend chem-dry to anyone I know! Thank so much guys!! I could not be happier with the service that was provided for our home. Brad and Suzannah are so professional. My carpet looks like new and the tile work was outstanding. Thank you for a job very well done!!!! !